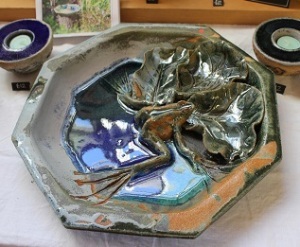 Creating individual hand made pottery began in 1986 with evening classes in Langley College. I have spent many years developing skills on the wheel and I enjoy making pieces that are functional. Over the past 5 years I have returned to hand building pottery inspired by living next to an ancient wood and enjoying growing plants for pleasure. 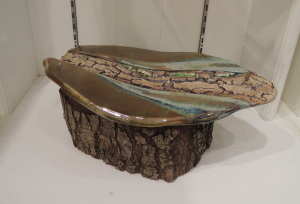 I enjoy the sculptural freedom in hand building, the surprises that glazes offer, often with the addition of glass.